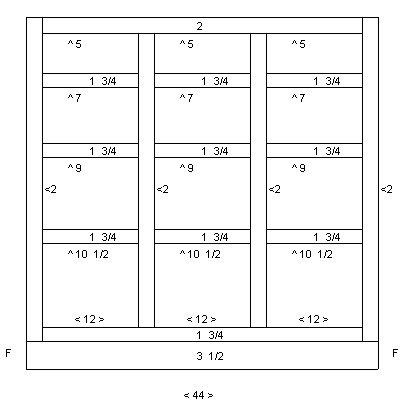 This is the shop plan drawing for the four uppers in the above elevation. The shop plan drawing for the combined bases in the sample kitchen. 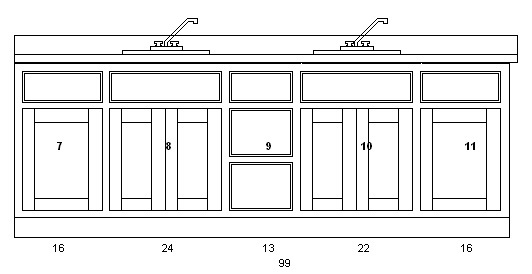 Here is an elevation view of a vanity with two sink cabinets, two standard bases and a three drawer base. 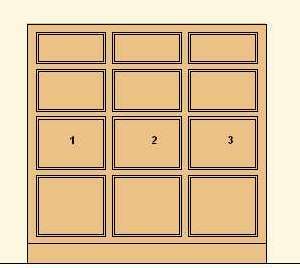 The combination of cabinets is limited only by your imagination. Also, the total length is only limited by what you can get into the room. You could make a combined cabinet that is well over 200 inches long, but don't ask me to help carry it into the house. 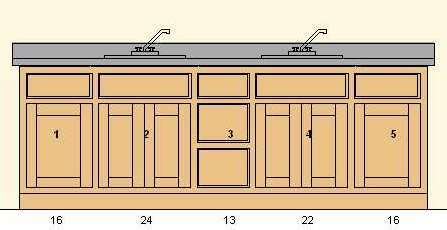 The shop plan for the above vanity. 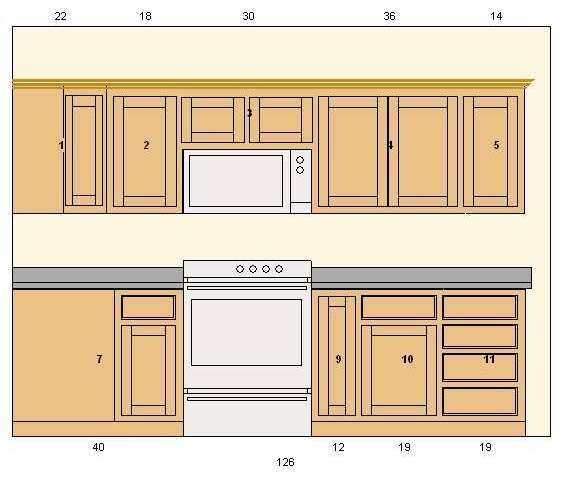 As you can see in the elevation view the sink bases are two different widths, but the openings are the same size. This is because I planned the left sink base with both stiles set at 2 inches and the right sink has the left stile set to zero. It does not matter which way you plan it, but it is easier to keep them both the same. 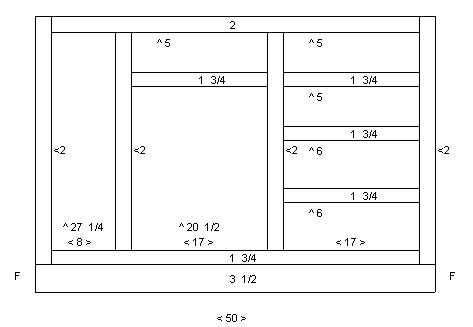 Shop plan for the cabinet above cabinet. A 12 drawer base. Not that you would, but you could.